Capture the unique feel of a bowling center without the space & expense needed for a full-sized bowling lane into your home or venue with the Imply ® Green Bowling Café. This provides players all of the excitement you find with official bowling lanes but in a compact size. 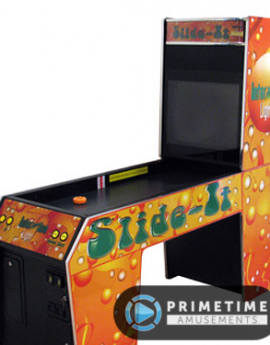 It uses full, official sized bowling balls & pins and does not require an attendant to operate! 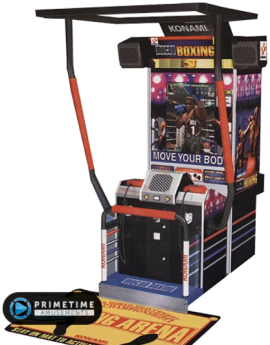 The Imply Green Bowling Cafe is the perfect solution for getting big profits in smaller locations such as Arcades, FEC’s, Malls, Theaters and other Location-Based Entertainment (LBE) venues. It provides a unique step between Mini Bowling and full-blown professional size lanes, with Café lanes falling between 55′-65′ in length. 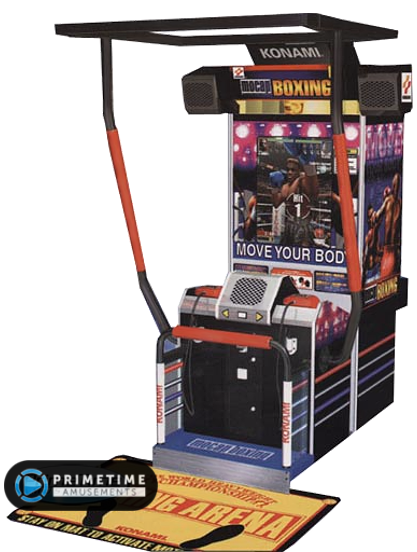 This provides the thrill of bowling for all ages, and suitable for all entertainment applications. Green Bowling models also feature the latest improvements in bowling design. These sport 55″ HD monitors installed at the end of the lane and in front of the pinsetters, allowing users to create their own game avatars, enjoy fun animations, chose their language and much more. This is done through a user-friendly touchscreen interface and/or free smartphone app! The lane design has also been improved to take up less width by putting the ball return below the lanes instead of in-between them. 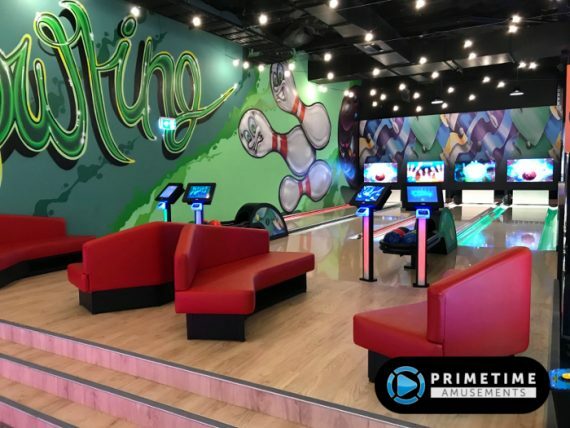 Imply ® Green Bowling Café also provides LBE locations guaranteed revenues for family fun, happy hours, birthday parties, corporate team events and more ! Up to twelve (12) players can compete on the same lane, but in a casual, no pressure atmosphere that doesn’t require the use of special shoes. Green Bowling Café Lanes come with special “glow-in-the dark” inks embedded in all components, which interact with the use of optional UV “Backlights”, along with LED Lighting embedded along both sides of the lane, which literally turns the Bowling Cafe into a very eye-catching display of lights and colors, helping to attract and keep players. The purchase of any Green Bowling lane will include all related installation work by trained technicians. We will provide this as a part of the quotation that is sent to you. Also note that bowling lanes are built to order so please ask your salesperson about current lead times and shipping rates. REFURBISHED STOCK: 1/24/18! 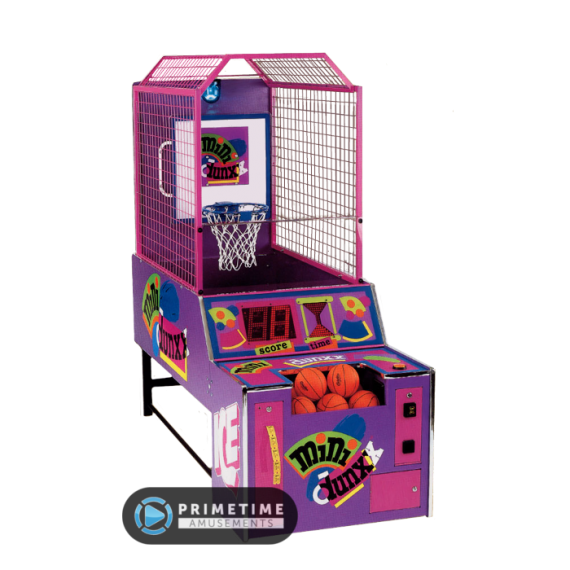 – An original (i.e., not “Green” edition) pair of Bowling Café units are currently available from a PrimeTime operated location in Florida. Each will go through our Certified Pre-Owned refurbishing program before shipping to you. Please call for pricing and lead time. The Bowling Café is produced in 55′ or 65′ lane sizes. How many lanes you wish to install only depends on your available space and/or budget. The lane lengths are measured from the back of the pinsetters to the start of the player area – actual lanes themselves are about 33′ long on the 55′ models. Check below for more details on the dimensions – can be installed into a home or business! No more old tube TVs! Engage your customers better thanks to the stunning 55″ HD LCD screens. Users can pick an avatar to represent them on the screen, along with a theme. Animations show the current scores & pin setup, bolstered with fun animations. The screens are embedded inside of the masking panel, so there’s no need to build any extra overhead structure for the installation. Lanes also come with promotional panels that drop down between frames; customize these with your logo or that of a partner/vendor! Inject some life into your bowling experience with Green Bowling’s RGB LED lighting system. This creates a synced lighting effect on each pin, along the lanes and on the players terminal, for the ultimate light show! The effects are independent for each lane, generating a sensational show on each visit. All lanes also shine under black lights thanks to the injected special inks and neon pigments. Each Bowling Café lane comes with a touchscreen command terminal. 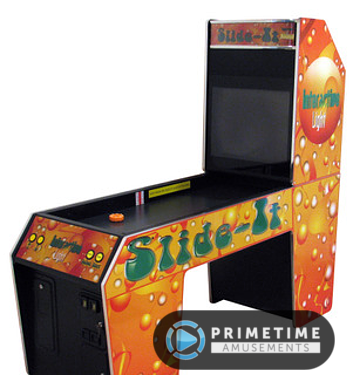 The lanes can be operated with tokens, coins, smartcards or on free play (for home or event use). These are installed at the beginning of each lane and are easy to operate. Just insert a credit, input player data and start playing! Up to 6 players can participate in the same game. Just like professional bowling, each user gets 10 frames with 2 shots per frame. Bring your bowling center into the 21st Century with the Green Bowling App. This modern interface allows players to connect their own smartphone to the game. Players can use access the options menu, view current scores, send messages to the lanes, order from the food menu and share their score on social networks. All for free! Each lane is made using highly resistant, 100% solid Phenolic Synthetic Laminates (the same found in full-size commercial lanes). This means that as long as proper cleaning & care procedures are followed, your lanes will still look like new several years down the road. The designs follow standards established by World Tenpin Bowling Association and USBC (United States Bowling Congress). Balls and Pins also follow internationally recognized official specifications. Designed with simplicity and reliability in mind. It uses fewer parts and has lower operating costs compared with traditional pinsetters. 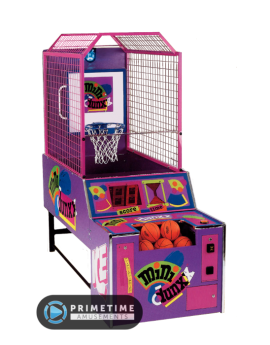 It performs a quick replacement of the pins, so the players do not waste time between shots. All hardware is managed by intelligent computerized control. A variety of bright & modern decorative themes are already available for each purchase. Ask your salesperson about the different options. We can also assist you in creating a custom theme that fits exactly with your location’s look & feel. This can also be done with the lounge area; sofas are designed with built-in USB charging station so that guests can charge their phones. This included program offers maximum control over your operation, with customizable options for payments, game modes (Pro, OneShot or Fast), timeouts, CRM tools, registration of menu offers, a reservation platform, customized themes for events and special dates, and much more. You also will have access to the BowlingNet® Manager software giving you 24/7 access to bookkeeping audits & lane performance! The purchase of a bowling lane is no small step for a client to take. 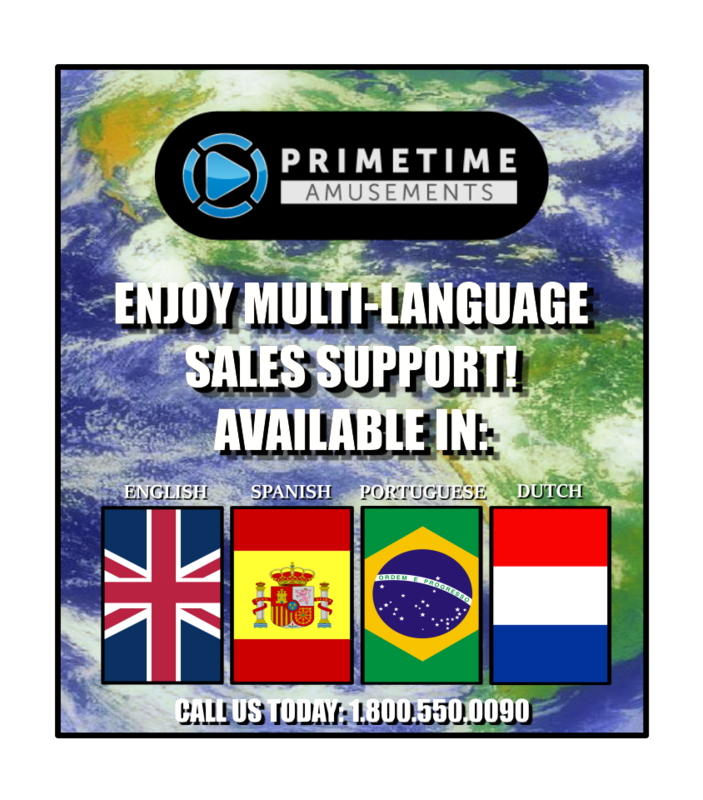 Thankfully with PrimeTime Amusements, you have access to professional and experienced sales staff who have worked in bowling operations for many years. We have operated the Bowling Café & Official lanes at various venues across Florida and know these systems inside and out. We also have access to professional architects so that a full, custom design & layout can be created before you buy. We also have a professional architect that can assist with the design, layout & development process. Ask for details! Here is a typical layout of a four lane Bowling Café setup. Note that you can purchase any number of lanes that fit within your budget; this is just an example of what you can expect to see from our professionally made layout that will be sent to you before a final quote. At PrimeTime Amusements, we have direct experience with installation and operation of a Bowling Café setup, as found at our Xtreme Action Park facility in Ft. Lauderdale! Don’t bother with those other guys who only have received product brochures or maybe played it once somewhere – go with PrimeTime experience! Note that this shows an older version of the Bowling Café; we will have a NEW video showing the Green Bowling configuration soon! Installed Dimensions: H: 87″, W: 47″, D: 76″ Weight: 650 lbs.